Leap is offering family leadership weekends for the whole family to come together in an inclusive, fun environment to begin to develop and share a vision of a good life for their son or daughter, brother or sister with a disability and for themselves. These weekends are about friendship, fun, finding support and family leadership. The aim of the weekend is to have fun with all the members of the family and try out some new activities, ideas and experiences. The weekend will also be about finding inspiration in what families are doing together when living with disability and sharing practical insights in how to support family members live a fuller, better life. As well as access to the facility each family will have the support of a ‘Family Pal’ for the weekend matched to the family based on your child’s interests, hobbies, age and life experience. 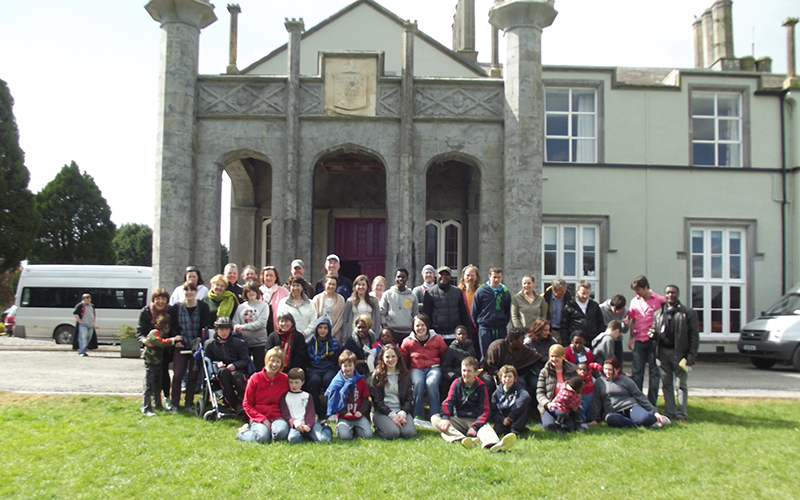 The weekend is also supported by activity leaders with experience of working with people with disability to support families to get the most out of the activities the Cavan Centre has to offer. “This is probably the most rewarding, challenging, fun, shared, supportive weekend I and us as a family have shared ever! It allowed us (5 of us) to be a united family doing stuff together. Thank you”.